I, along with others, was formally introduced to Maryland-reared artist Brent Faiyaz courtesy of his hook on GoldLink‘s hit single “Crew.” However, a bit of digging reveals that the singer has been putting in work for a while now, releasing a solo EP titled A.M. Paradox in 2016. He is also one-third of the group Sonder, made up of him and producers Atu and Dpat. Sonder released their debut EP, Into, at the top of 2017. 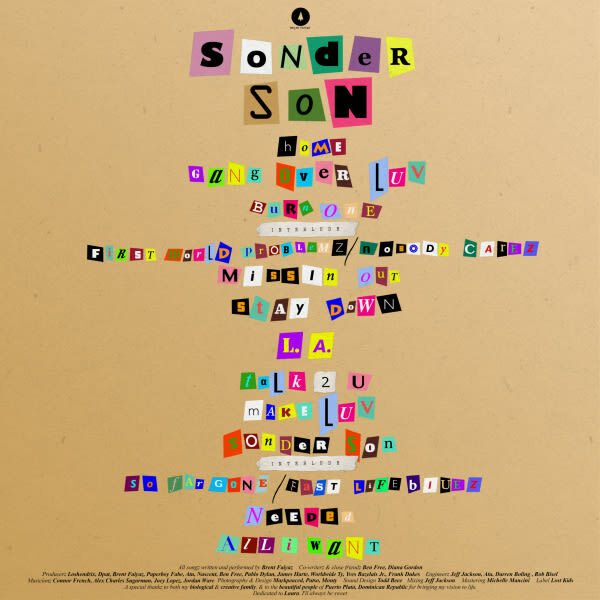 Brent is now aiming to release his proper debut album, Sonder Son, on October 13th. If it’s anything like the previous works above, his name could ring bells in the same circles as his contemporaries Daniel Caesar and dvsn. Peep the tracklist for Sonder Son below.